Restaurants in Manila gets you thinking of certain areas that you can enjoy with friends. Surely the holidays are here. But some schools around the U-belt area still conduct classes. Also, University of Santo Tomas was one of the educational institutions in Metro Manila that started late in terms of their academic year. With this in mind, scanning the restaurants in Manila around UST would be a welcome journey for Thomasians and students from other institutions. Some restaurants in Manila would pick a catchy name and push through with the great meals. Such is the case here with The Pit. 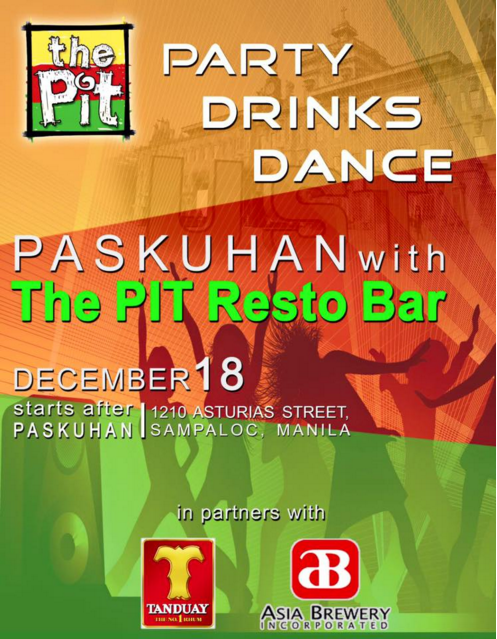 A place to enjoy food while watching the latest music videos featuring catchy hits. As a restaurant, it designated a spot where drinks and bar chow can be enjoyed. It’s at the second floor. Hearty rice meals are served as well to go with your choice of beer. Among their often requested dishes are the kaldereta and the T-Bone steak. Priced at P95 and P145 respectively. Sausage suckers unite! 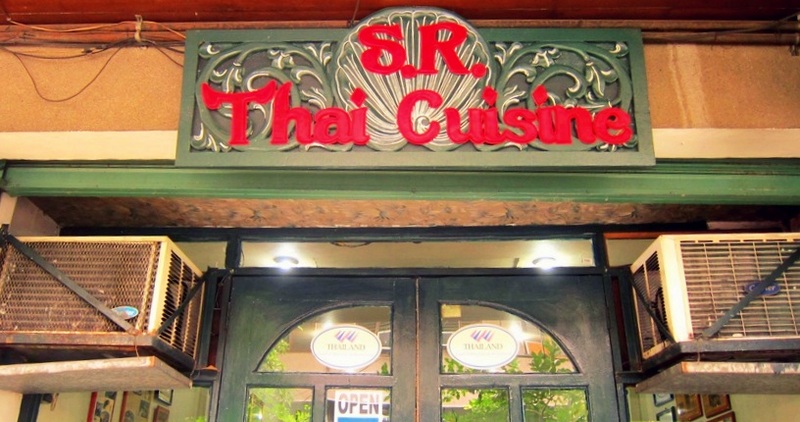 There is a food joint in Manila that has catered to a niche nobody realized existed. Welcome to Cow Wow Sausage Haus. The place to go for your sausage cravings. Foodies with a big appetite to satisfy frequent one of the specifically unique restaurants in Manila for their meaty fix. 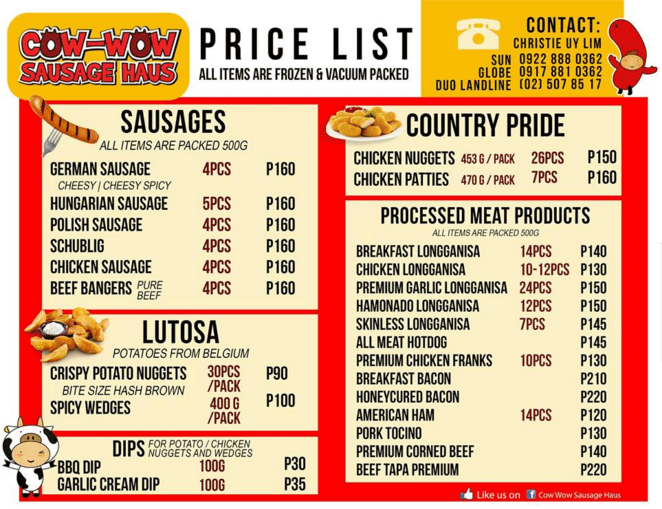 Servings as low-priced as P55 per order are found here. You even get to pick if you’d like your sausage to be served in a bun or with rice. Don’t hesitate on ordering extra rice too. Rejoice, proud carb loaders! You have a choice among the restaurants in Manila listed here when it comes to pasta. 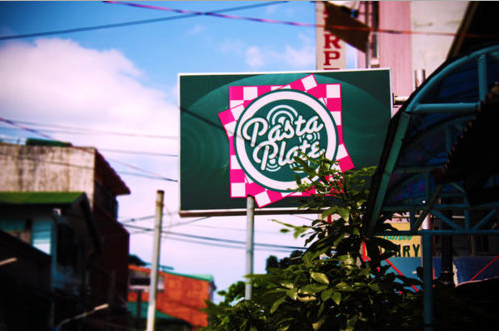 It’s Pasta Plate, a humble food joint this side of Dapitan for pasta enthusiasts around the U-belt area. Noted best-seller is the Cheezy Chicken Pesto. Perfect to go with chocolate churros on the side. Who could have thought a sweet respite from the rice meals could be so fulfilling? But if you really can’t help but stick to your rice cravings, the Cordon Bleu would be the ideal dish to enjoy at Pasta Plate. Some television viewers may be familiar with “The Eatles” as one of the shirts worn by Mr. Joey de Leon on the noontime variety show Eat Bulaga. Surprise! 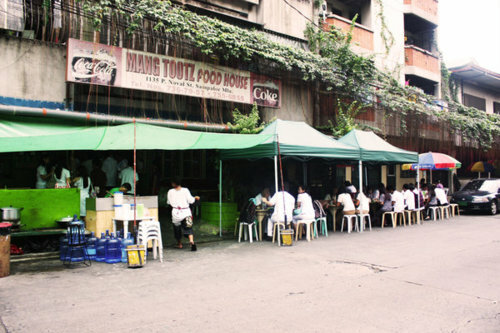 It’s actually a restaurant found on P. Noval Street just a stone throw’s away from UST. 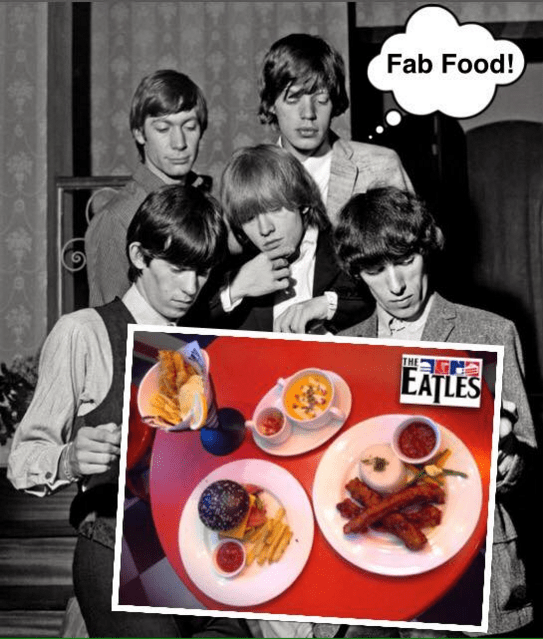 A Beatles’ themed restaurant meant a place for you to enjoy gawking at Beatles memorabilia to go with your Eatles Burger. Packed with meat and cheese, it’s a value-rich treat that comes at only P175 per serving. Desserts like the Blueberry Cheesecake immediately give you an excuse to stay longer in one of the easily remembered establishments among listed restaurants in Manila. 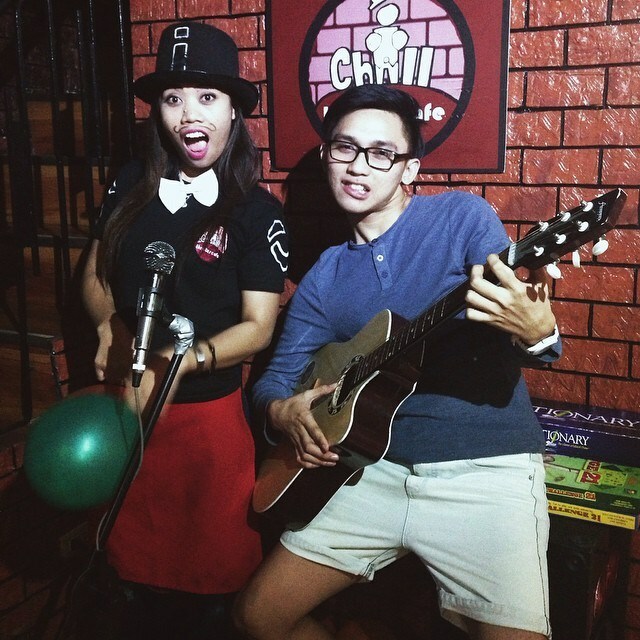 And speaking of themed restaurants in Manila, our journey takes us to iChill Theater Cafe. At first it may seem like your typical cafe for study hours among college students. That is until you look around and see musical theater memorabilia on the walls. Most of the musical theater posters are found at the second floor. Both the first floor and the second floor occasionally host art galleries. An ideal way to enjoy art while sipping some frappe to go with your pasta dishes. 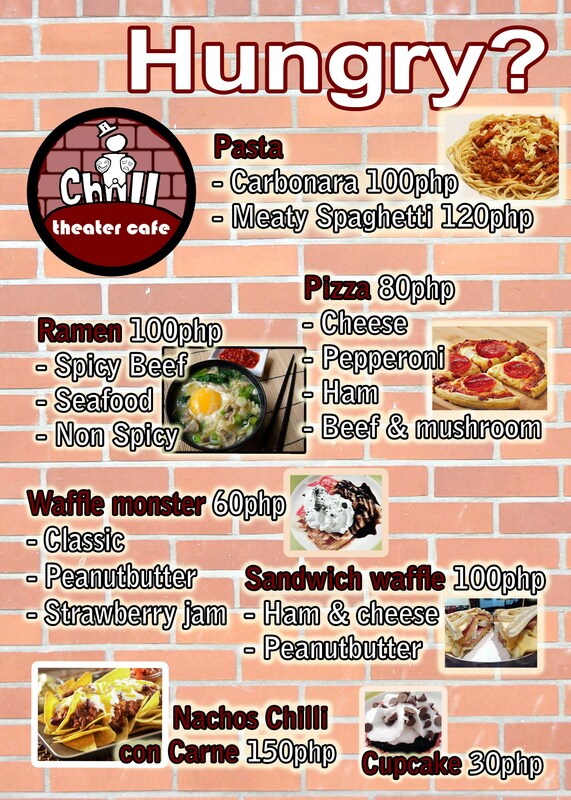 iChill Theater Cafe is located at Dos Castillas St nearby UST Hospital. Call 521-0056 for directions. Reservations for events are also encouraged. You can also get in touch with them through their social media accounts at Facebook and Twitter. 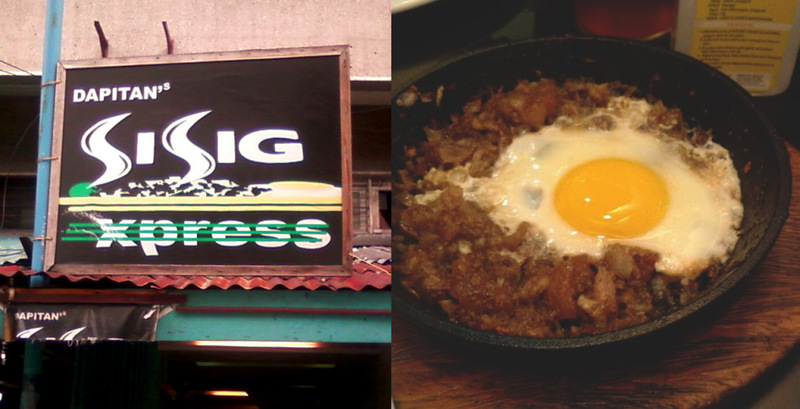 Found the kind of food joint you’d like among our list of restaurants in Manila? Their respective Facebook pages are linked on the titles for your perusal. Surely, we’d have more of these places for you to go on our next articles and then some. Just don’t forget to like our official Facebook page, The Philippines Web. And follow us on Twitter @pinasamazing. We’d be expecting you.